Patients gather outside waiting for our screening clinic to begin. We were overjoyed Wednesday morning to find that all our boxes had arrived to the hospital! 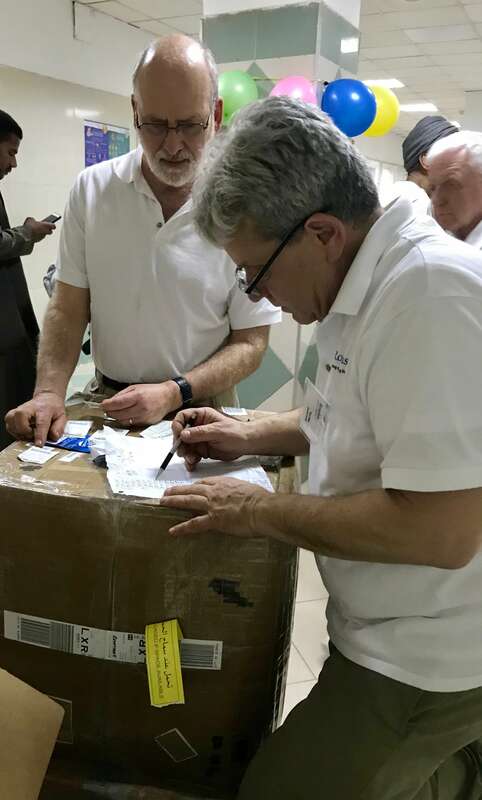 Neal Fleming, Lead Anesthesiologist and Ted Alex, Quartermaster pull the boxes necessary for our opening clinic. 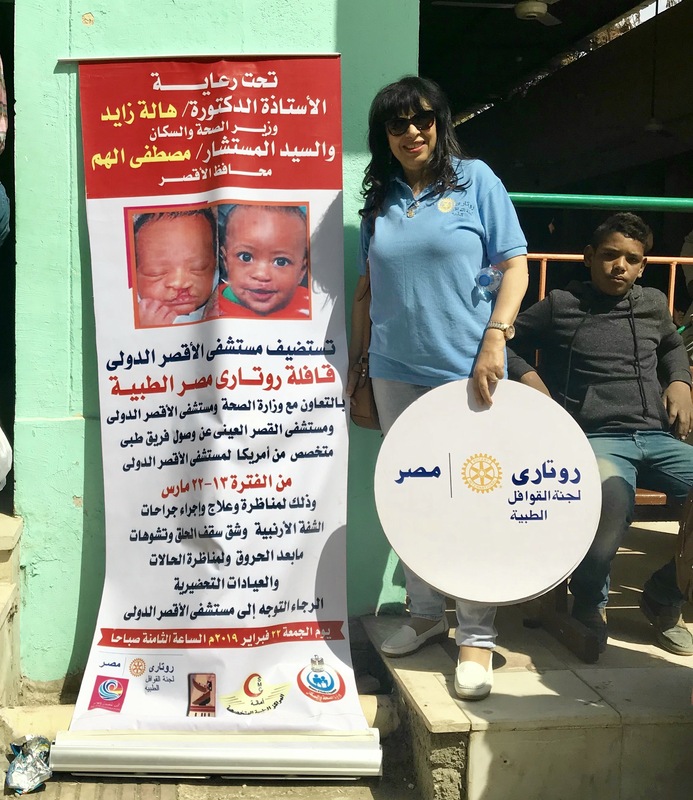 Eman Sallam, Medical Convoy Committee Chair, of Cairo South Rotary Club, District 2451, who organized everything for our trip here in Egypt, showing the sign outside our clinic area announcing Rotaplast’s visit to Egypt to provide cleft lip and cleft palate repairs, as well as burn contracture release surgery free of charge to all patients. 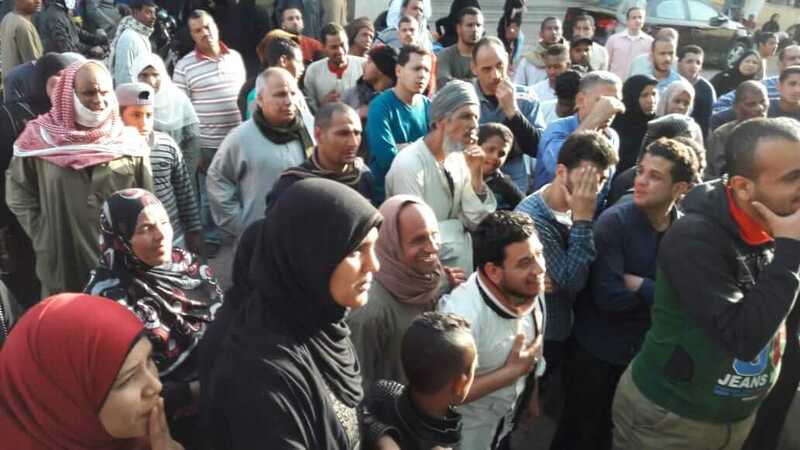 Patients waiting outside the Luxor International Hospital’s Outpatient Clinic. Our team quickly unpacked and set up for our opening screening clinic while patients continued to gather outside. 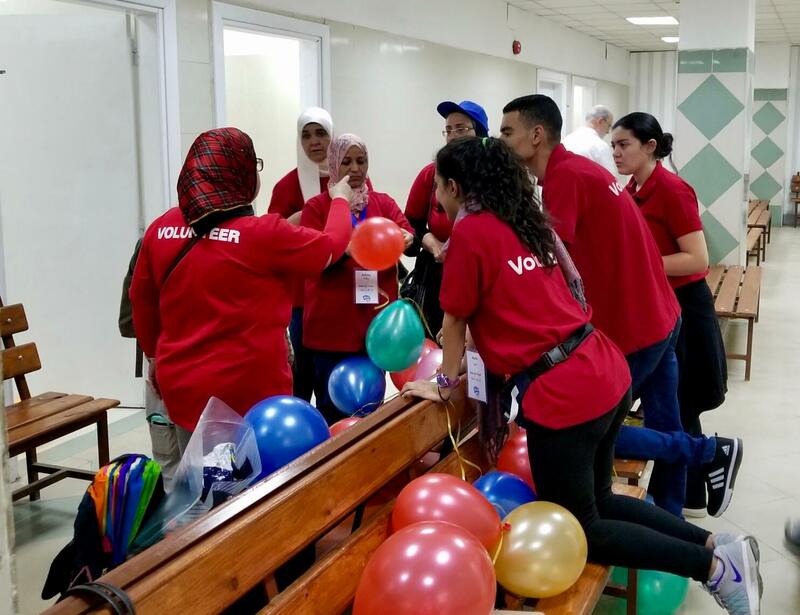 AFS Egypt Intercultural Project Alumni brightened up our clinic space with colorful balloons. Everything we do begins at the Registration Desk, manned by Leslie Purchase, MD and ASFer Shaimaa. 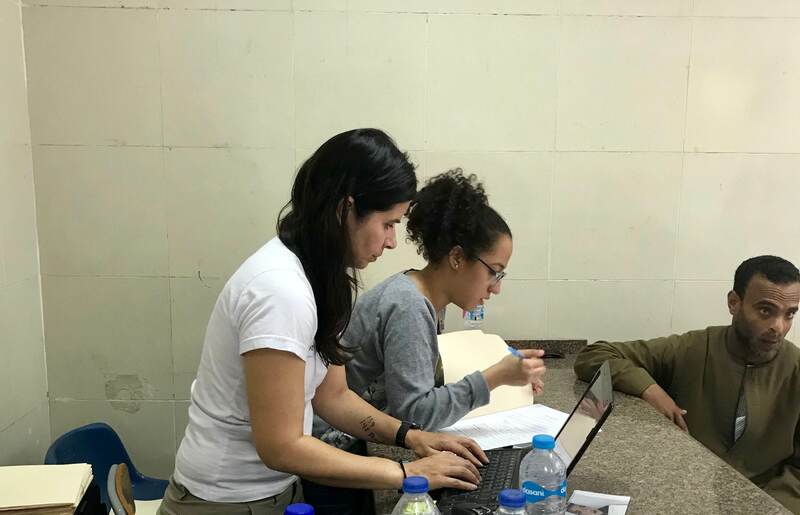 Our new AFS friends are essential members of our team, gathering information and filling out registration forms for our patients, translating for everything we do. 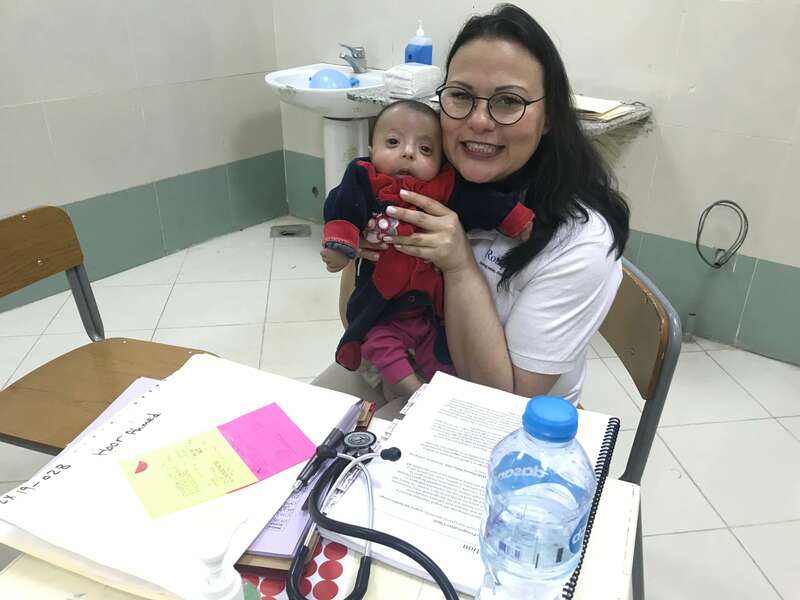 Their willingness to help and their knowledge of the language and culture make them invaluable to our mission. After necessary forms are complete, photos are taken of each patient for identification purposes. 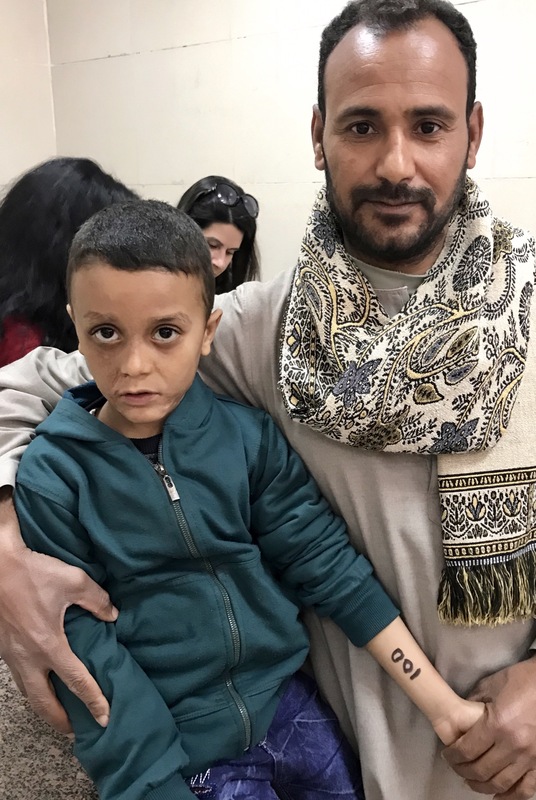 Ahmed and his dad are first in line to register. 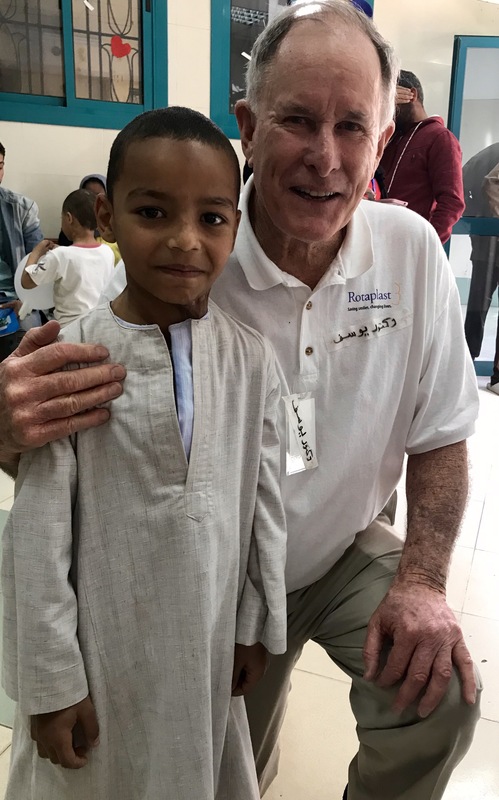 Mamdooh posing for a photo with Dr Joseph Herbert, pediatrician, in the registration area. 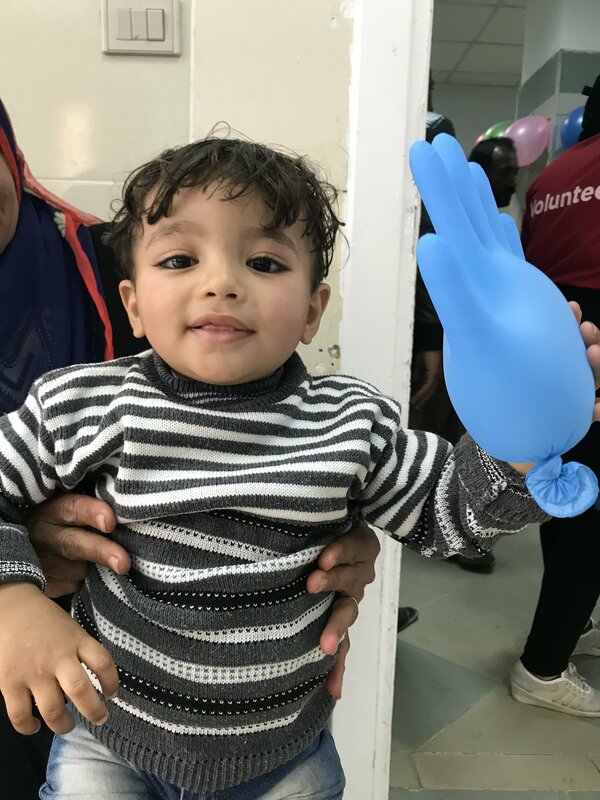 A little boy playing with a glove balloon while waiting to be seen. 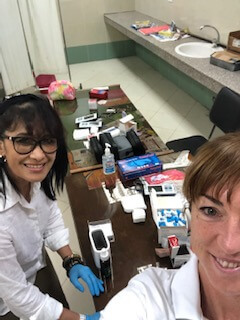 Our PACU (recovery room) nurses, Ligaya Agustin and Merewyn Dixon-Beckett take vital signs, including weight, oxygen saturation, temperature, heart rate, respiration, blood pressure and hemoglobin level, which will be used to help determine if patients are healthy enough for surgery. 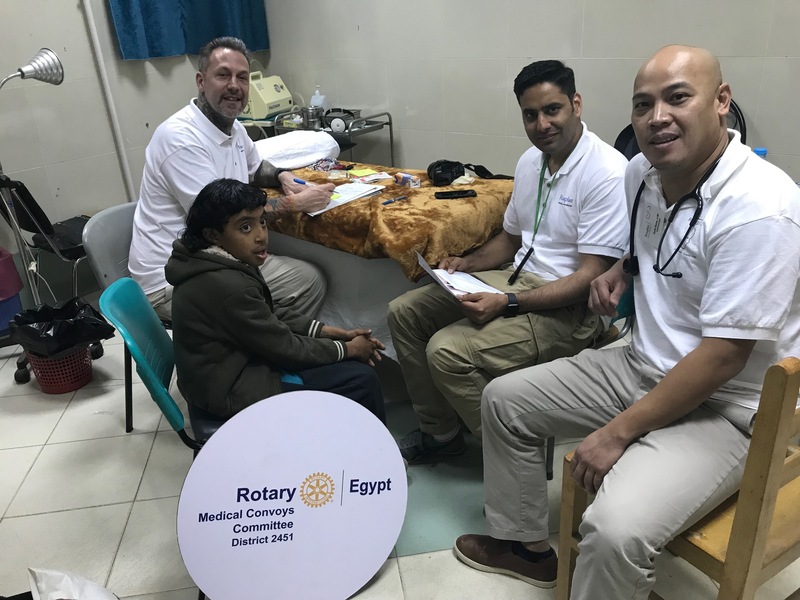 Three teams, each composed of a surgeon, anesthesiologist and operating room nurse then examine each patient to see if they are a candidate for surgery. Pictured above are David Sparks, operating room nurse, Gagan Sabharwal, plastic surgeon, and Dan Ramos, anesthesiologist. 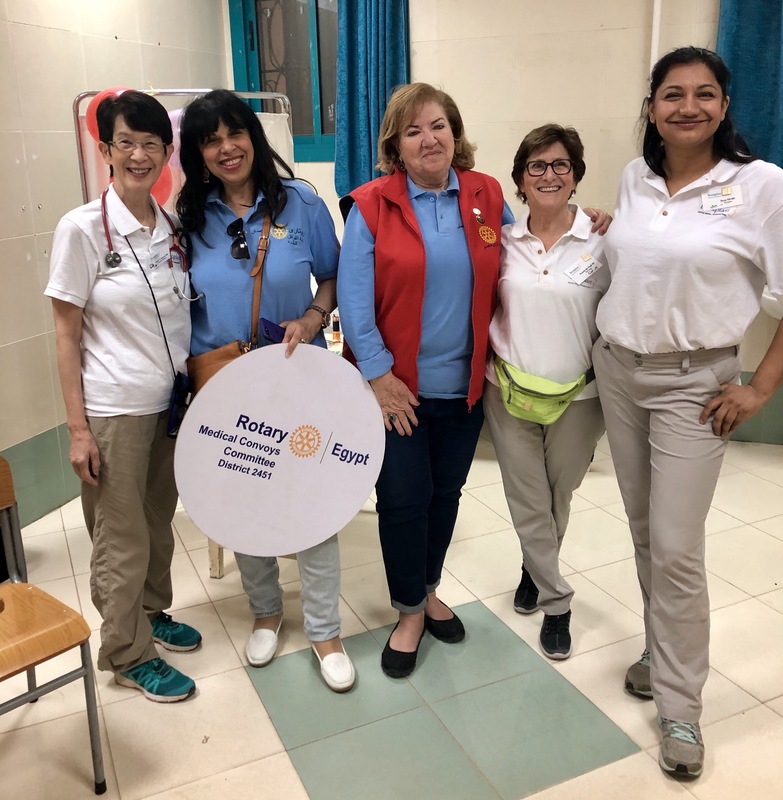 Our second team is made up of Hanna Le Nguyen, anesthesiologist, Eman Sallam, Rotary, Naira Addelwahab, current President of Rotary Cairo South, Paulette McHugh, operating room nurse and Roop Gill, plastic surgeon. 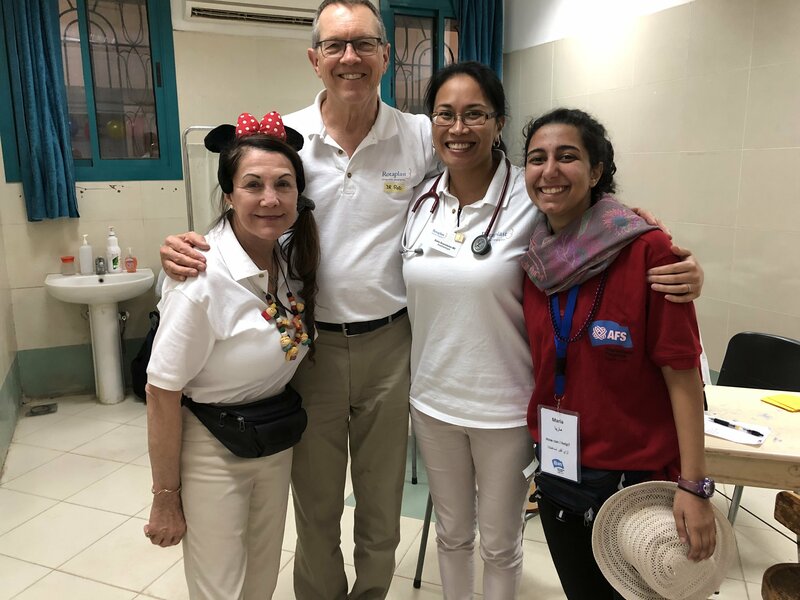 Team Three is Victoria Slama, operating room nurse, Rod Simonds, plastic surgeon, Dulce Annunciacion, anesthesiologist and AFSer, Shaimaa. 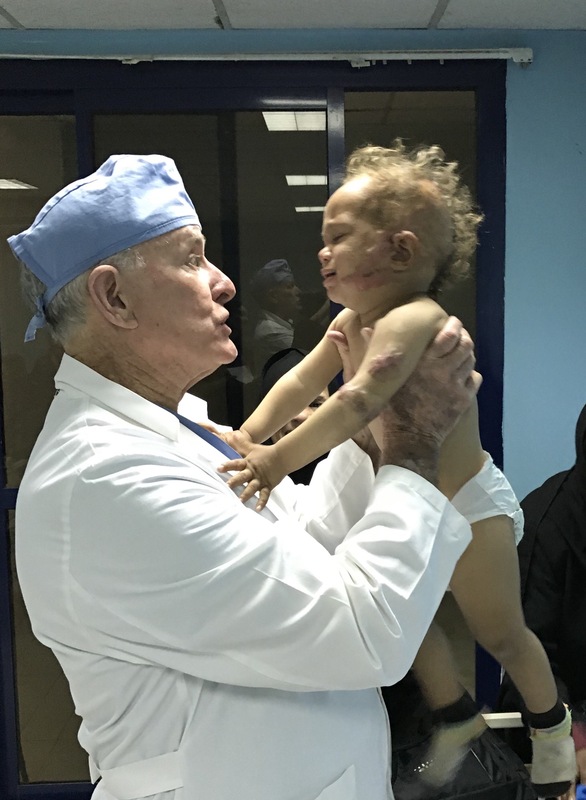 Finally, the pediatrician or pediatrician or pediatric nurse practitioner sees each patient to clear them for surgery. Dr Joseph Herbert is talking here with Mohamed. Pediatric Nurse Practitioner, Karen Davis, is visiting with one of her youngest patients. 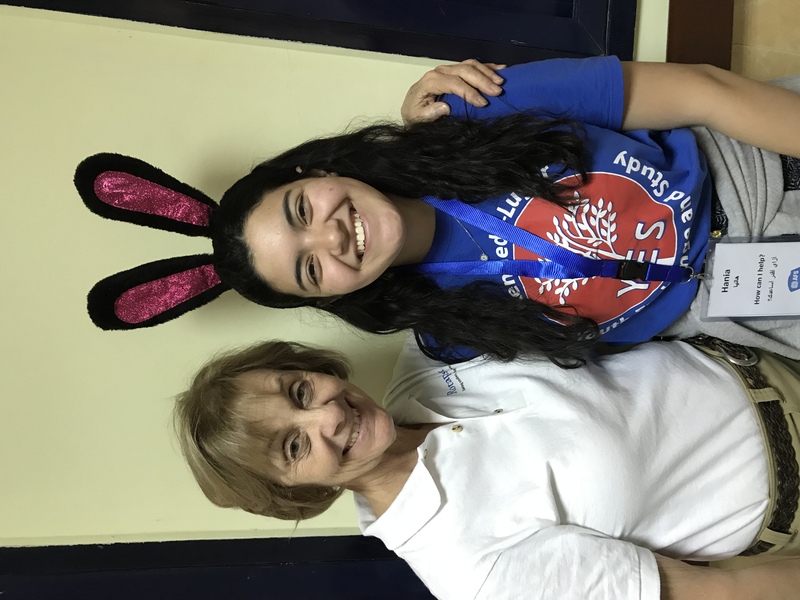 Patients scheduled to have a cleft palate repaired will also see our Speech Pathologist, Susan Whitaker, shown here with our AFS interpreter, Hania. We have screened 213 patients, approving 81 for surgery. 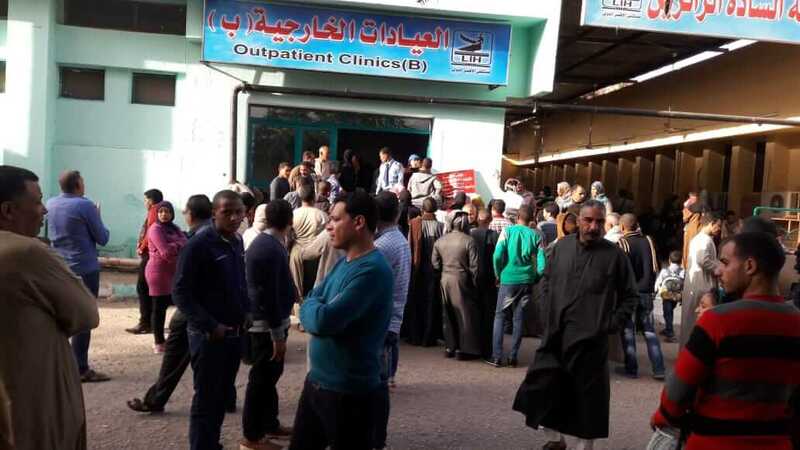 Patients will continue to walk in hoping for surgery as the week goes on. We will add as many as possible, as we change smiles and change lives.